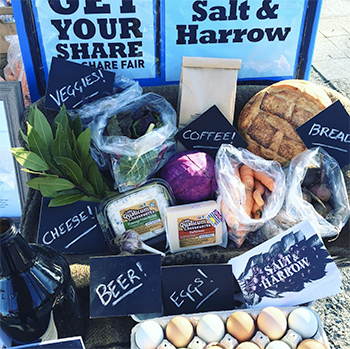 Looking to get more local food on your plate and support a BC producer with start-up capital for their new season? Consider joining a CSA program this year. Community Supported Agriculture and Fishery memberships come in a variety of formats and can include everything from fresh fruits & veggies, eggs, meat & seafood – even honey, herbs, flowers, and grains. Our annual CSA Day is a great opportunity to check out the variety of VFM producers offering CSAs this year. Attendees can browse the different options, ask producers more details about their shares, and even sign up for CSA membership. Look out for blue “Get Your Share” signs at farm stalls on February 2nd & 3rd and find a CSA model that works for you! Listen here to Kevin Klippenstein describe the Klippers Organics CSA Programs.